Sometimes you can feel the buzz of hope, that overwhelming sense that life is going to get better, that the future is brighter than the sun itself. I’ve felt it before, in 1993, when my wife and I visited South Africa and unknowingly witnessed the final breaths of Apartheid. It would have been easy to cocoon in the picturesque harbor of Cape Town and watch the daily migration of clouds lift over Table Mountain. But our experience there unfolded in unexpected ways as travel often does. A visit to the vast Khayelitsha township—300,000 living in makeshift ramshackle homes—as part of Operation Hunger. A friendly chat with a black South African followed by an equally friendly handshake—it was his first conversation with a white person. Even a chance meeting with archbishop Desmond Tutu, recipient of the Nobel Peace Prize, on a day when sickness left little opportunity for exploration. And through it all there was that buzzing. That buzzing. You would have felt it, too. It was inescapable. Barely a year after our visit, Nelson Mandela would be elected president, Apartheid would be over, and the country and its people would be changed forever for the better. With the passing of Mr. Mandela, I am reminded of that overpowering feeling of hope. And lately I’ve been feeling that same buzzing. Now hold your horses, naysayers might say. It’s just the paresthesia from my multiple sclerosis or that L’Hermittes zap that comes from tilting your head down. Perhaps it’s a little cog fog delirium brought on by this disease. But they would be wrong. There is no doubt that the buzz is there. 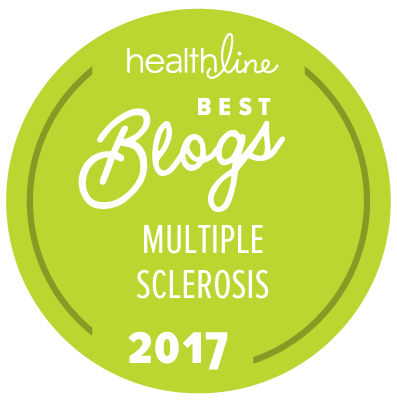 A buzz in the MS research community that a breakthrough is on the horizon. Maybe not this year or next. It hasn’t reached the crescendo I felt in Cape Town, but it’s building. It’s definitely building. Do you feel it?